Acetabular retroversion is a condition where the hip socket (acetabulum) faces backwards (retroversion) rather than forwards. The position and direction of the hip joint is critical in determining a safe, and painfree hip range of motion. 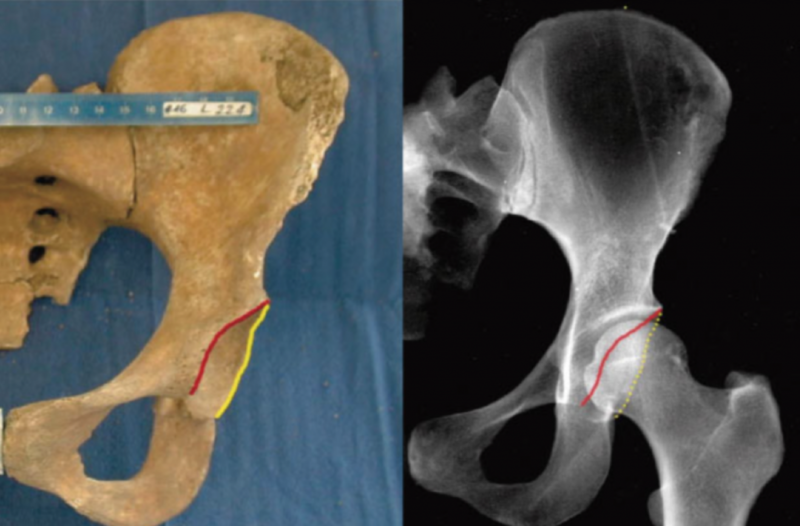 In the normal hip, the acetabulum (cup/socket) normally points forward approximately 20 degrees. This allows space for the thigh bone to engage the hip joint when the hip is flexed – for example when bending forwards whilst seated, or being seated in a deep chair. The acetabulum grows from a cartilage model. During normal childhood and adolescent growth this cartilage model of the acetabulum turns to face forwards.